Daniel L. Thieme | Littler Mendelson P.C. 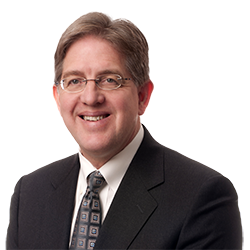 Daniel L. Thieme is experienced in all areas of employment relations law. He has particular expertise in the areas of wage and hour law – including all aspects of employee compensation, business sales and restructuring, executive compensation, discrimination law, and employee intellectual property issues. With respect to executive compensation, Dan’s experience includes negotiating executive employment contracts for both companies and executives and structuring executive incentive compensation plans. Dan chairs the Incentive Compensation subgroup of the Wage and Hour Practice Group, and the WARN Act subgroup of the Business Restructuring Practice Group. WARN Notice – One More Burden for Employers Recovering from Sandy? The New DOL Regulations Take Effect May 5, 2011 - Are You Ready?